Considered one of South America most exciting and varied nations, Peru offers the curious adventurer a bottomless wealth of possibilities. It is a country full of color, with a mixture of cultures in which history and modernity coexist in total harmony, evident in its architecture, cuisine and arts, but most important, in the people who keep their traditions alive. Official languages: Spanish. English is widely spoken. Currency: Nuevos Soles S/. (Dollars and Euros can be easily changed) which is divided into 100 céntimos. There is no restriction on the amount of foreign currency or travelers checks brought into Peru. Language: Peru's official language is Spanish. Quechua is the second official language, and is widely spoken in the sierra (highlands). English is spoken in major visitor centers. Peru is located on the western side of South America. Its territory borders the Pacific Ocean to the west and bounded on the north with Ecuador, on the northeastern with Colombia, on the east by Brazil, on the southeast by Bolivia and south to Chile. Because of its geographic position and its tropical location, the presence of the Andes and both the Humboldt and El Niño currents, Peru is the earth's most ecologically diverse country. Eighty-four of the one hundred and four ecosystems in the world, and twenty-eight of the thirty-two climates on the planet can be found here. Additionally, it is one of the world's leading countries in terms of variety of species and habitats. Peru is a nation of mixed ethnic origins. Throughout its history, Peru has been the meeting ground for different nations and cultures. As a result of this encounter, and later enriched by the migration of Africans, Asians and Europeans, Peruvians emerged as the representatives of a nation whose rich ethnic mix is one of its leading characteristics. Most businesses and Bank offices are open Mondays through Fridays from 9 a.m. to 6 p.m., although some banks also open Saturday mornings. You can withdraw money with major credit cards at the principal banks. In major cities, most hotels, restaurants and shops accept international credit cards and travelers checks. Nevertheless, it is always advisable to carry some cash. The use of U.S. Dollars is allowed. You may pay for goods and services directly in US Dollars or in Soles at the daily rate of exchange. ATM's are easily found throughout the main cities. Cash advances can be made at most banks or ATM's. The official currency in Peru is the Nuevo Sol (S/. ), which is divided into 100 centimos. There is no restriction on the amount of foreign currency or travelers checks brought into Peru. Each passenger is allowed two bags of up to 55 pounds (25 kilos) each, plus a 11 pounds (5 kilos) carry-on luggage, photo or video camera, wheel chair, or baby carriage can be transported free of charge if there is space availability. Valid passports are required for entry into Peru. No visas are needed for stays of up to 90 days. Before landing, your airline will give you an embarkation/disembarkation card to be filled out and presented to the Immigration officer. There is a sales tax added to purchases; hotels and restaurants charge sales tax and service. There is also an international departure tax is to be paid in U.S. Dollars at the airport. One of the great advantages of visiting Peru is its year-round sunshine. 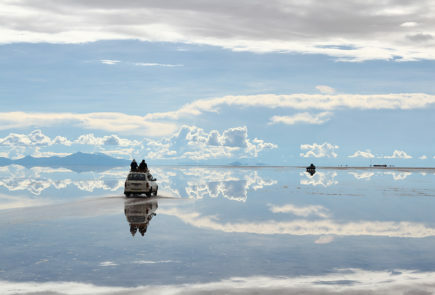 Although most of the world's climates can be found somewhere in Peru, the weather is generally mild and does not present difficulties for travelers. Some cities along the coast have a mild, humid climate. In the northern cities, near the border with Ecuador, the climate is pleasant and sunny all the year round. In general, the climate at altitudes between 3,300 and 8,200 feet (1,006 and 2,500 masl), such as Arequipa or Ayacucho is cool yet sunny throughout the year. At 11,500 feet or more (3,505 masl), there are only two seasons: the rainy season (December through March) and the dry season with sunny days and chilly nights. The cities of Cusco, Puno, Cajamarca and Huaraz have this type of climate. On the other hand, the whole of the jungle region, from Iquitos to Madre de Dios (Puerto Maldonado), is always hot, with year-round temperatures averaging between 75°F and 83°F (24°C to 28°C). Anyone who has been to Peru can vouch for its wonderful cuisine. Sophisticated restaurants, awarded several forks, reflect the diversity of a nation that has blended its native traditions with the cuisine of Europe, the Middle East, China, Africa and Japan. The result: unique flavors that make Peruvian cuisine one of the finest and most varied in the world. Today the gastronomy bounty can be enjoyed in traditional restaurants and also through the creations of a new generation of chefs who have achieved international recognition for their imaginative use of traditional ingredients and recipes with haute cuisine techniques. Peruvian restaurants throughout the country can be a fantastic and inexpensive treat. Most restaurants take major international credit cards. Bottled mineral water, with or without carbonation, soda drinks like Inca Kola and Coca-Cola are available in all hotels, ships and restaurants, as well as Cristal, Pilsener and Cusqueña beer. Coffee and tea are usually served at the end of meals. The "chicha morada" is the typical drink of Peru, and it is generally consumed in the coast. As in many places, gratuities are customary, but entirely at guest's discretion. Guidelines for tipping will be found in the "Welcome Kit" you receive upon arrival. Local time on the mainland is Greenwich Meridian Time minus 5 hours (Eastern Standard Time in the United States). Valid though all Peru all year around. No inoculations are required for entry. Travelers with heart conditions or high blood pressure should check with their physicians about high-altitude travel, as well as preventive measures for visiting tropical areas. Bottled water is advised and available everywhere. For guests traveling to Peru's Amazon Region, a yellow fever vaccination is required. Altitude sickness, known as soroche in Peru, is occasionally a problem for visitors traveling directly from the coast or jungle regions to the high Andes, above 2,500 meters (8,000 feet). The best way to prevent it (headache, dizziness, fatigue) is to eat lightly, and drink plenty of fluids. It is recommended to ascend gradually to become acclimated and rest on the first day of your arrival. It is advisable to bring a variety of clothing, depending on the places to visit. If the traveling is through the coast, it's appropriate to wear clothing for fall. If traveling to the mountains, winter clothing will be necessary. Be prepared to dress in layers in the jungle. If the plan is to enjoy some time at the beach, bring light summer attire. Comfortable shoes, a hat and sunblock to protect you from the sun's strong rays in the mountains and from the heat of the jungle are recommended. Some tours and programs are not suitable for smaller children, and thus not recommended for them. Children over eight will have no problem. Hotels in the major cities cater to children of all ages, providing children's menus, baby sitters and extra beds/cribs. The purpose of this Bureau is to protect the consumer rights of tourists visiting Peru by helping them solve any problem that might arise during their stay. The coastal region accounts for 10.7% of Peru’s territory 52,639 square miles (136,334 km2). It is a narrow strip 1,554 miles long (2,500 km), but only 12 to 62 miles wide (19 to 100 km). The altitude along this strip varies from zero to 3,281 feet above sea level (1,000 m). Although the coastal strip is mainly arid, seasonal rains occur in the north, especially during periods of El Niño climatic phenomena. Along the coast, less than 1 million hectares of the total 15 million are irrigated, Some of the 52 valleys are arable and they are farmed using a combination of ancient Peruvian methods and modern technology. The Peruvian coastal region has been home to several important cultures. Visitors will find many well-known archaeological sites here, including Chan-Chan, Nasca and Sipán additionally to a variety of impressive eco-systems as Paracas and the Northern Beaches. The most important cities in this region are Lima, Trujillo, Chiclayo, Ica, Piura and Tumbes. Sierra is the name given to the Andean highland region, where the Andes mountain range runs through the country north to south like a backbone, dividing the coastal region from the jungle. The sierra offers a wide diversity of landscapes which vary according to the altitude. The Sierra makes up 30.5% of the nation’s territory 391,876 km2 (151,304 square miles) and is between 83 to 250 km wide (52 to 155 miles). The average altitude is 4,300 m.a.s.l. (14,108 feet). The jungle is the country’s largest region, covering 58.8% of Peru’s national territory 756,665 km2 (292,150 square miles). Tropical rain forests extend from the eastern Andean foothills to Peru’s borders with Ecuador, Colombia, Brazil, and Bolivia. There are two separate and distinct types of jungle, the highland and the lowland. The highland jungle, known locally as “ceja de selva”, is located on the eastern flank of the Andes. Its average altitude is between 487 to 2,804 m.a.s.l. (1,600 and 9,200 feet.) A variety of tropical and subtropical products (coffee, tea, cocoa, citrus fruits, bananas, pineapples, etc.) grow throughout its luxuriant vegetation. This region, unlike the sierra, has a temperate and humid climate and it is also the smallest region in the country. Machu Picchu, the most important tourist destination, is located in this environment. Also known as the Amazon plain, this region, the largest in the country, is made up of lush tropical vegetation and a vast network of rivers. Peru’s largest volume of natural resources, and most important ones, are concentrated here. The lowland jungle lies, on average, between 250 and 1,300 feet above sea level. The two most majestic rivers in Peru are found here; the Marañón River (1,025 miles long) and the Ucayali River (1,240 miles long). Both flow into the Amazon River, which eventually crosses the borders into Colombia and Brazil. Although the lowland jungle is the least inhabited of the regions, it offers a vast array of attractions and resources, particularly for eco-tourism. High plateaus, at altitudes ranging from 3,810 to 4,298 m.a.s.l. (12,500 to 14,100 feet), contrast sharply with deep canyons such as those formed by the Apurímac, Cotahuasi and Colca Rivers. The sierra region has both arid areas and fertile valleys. Vivid blue skies form a stunning backdrop to the soaring peaks are reflected in many glittering lakes. The world’s largest navigable lake, Titicaca, is an incredible tourist attraction for Peru thanks to its scenery, history, archaeological sites and beautiful colonial towns. Interestingly, Peru includes its territorial waters as one of its natural regions. The Peruvian coast would have a hot and torrid climate were it not for the presence of the Humboldt current in its territorial waters. Thanks to this cool water current, the Pacific ocean off Peru’s coast is one of the richest fishing grounds in the world. This factor also made it possible for so many important settlements to take place here throughout the country’s history, which contributed to making Peru such a culturally diverse country. The diverse geography of Peru is such that most travel between different regions and cities needs to be by air. Nevertheless, for pleasure and to enjoy the scenery, in some cases trips can be made by land, train or boat. Major international airlines offer regular flights from Latin America, USA and Canada, Europe and Asia arrives to Lima. Arequipa, Anta (Huaraz), Andahuaylas, Ayacucho, Cajamarca, Chimbote, Cusco, Huánuco, Iquitos, Juliaca (Puno), Nazca, Piura, Pto. Maldonado, Pucallpa, Tumbes, Tacna, Talara. In 1851, the first railroad line in South America was built in Peru. It ran from Callao to Lima, but it is no longer operating. In 1870, the construction of the existing Central Railroad began from Lima to Huancayo. It continues to be one of the highest regular gauge (1.44m) railroads in the world, as well as one of the most interesting. The Southern Railroad has several runs which are also particularly interesting for travelers. The Arequipa/Juliaca/Cusco run is 237 miles (381 km) long and passes through La Raya at 14,150 feet above sea level (4,313 m). During the journey, visitors have the opportunity to view animals native to the Andes (llama, alpaca, vicuña and condor) among magnificent sights of high plateaus and sparsely vegetated mountain escarpments. The Cusco/Machu Picchu run is 70 miles (113 km) long and is the regular means of transport to Machu Picchu, since there is no highway. For many, this trip is in itself a marvelous experience. During the journey, the train descends from an altitude of 11,151 feet to 6,562 feet above sea level (3,399 to 2,000 masl), and travelers will enjoy seeing the Andean countryside of the verdant Sacred Valley gradually give way to the more lush vegetation of the ceja de selva (highland jungle). Callao has always been Peru’s main industrial port, although the country has several other important maritime ports with communication and transportation networks. Here we will refer only to navigation on major rivers and lakes for the purpose of tourism. Peru has three types of rivers; those which begin in the Cordillera of the Andes, those which begin at the junction of two rivers, and those which begin at a distance from the Andes mountains. Rivers such as the Madre de Dios and its tributaries, including the Manu and Tambopata rivers, flow through the jungle, and are navigable by various types of medium-size vessels. Because of their depth and size, the great rivers of the Amazon plain, such as the Ucayali, Napo, Marañón and the Amazon, can be navigated by all types of boats, and in some cases ships of great size. Traveling on some of these rivers and their tributaries is one of the great attractions of the Amazon region. Several rivers, mostly in the coastal and sierra regions, are excellent for rafting and river running. Finally, Lake Titicaca, whose waters come from rivers originating in the eastern and western ranges of the Andes, is navigable all year round in all types of vessels. Peru’s highway system covers more than 43,500 miles (70,000 km). The most important road is the Pan American Highway, which enters Peru in the north at Tumbes and travels down along the Pacific Coast to Peru’s southern border with Chile at Tacna. This highway links all the coastal cities with interconnecting routes to various locations in the sierra and the jungle. The drive from Lima to Ayacucho (Huamanga) through “Los Libertadores-Wari” highway takes about eight hours. The scenery changes dramatically as the coastal desert gives way to the high peaks of the Andes. Another new road now links the tropical cities of Rioja, Moyobamba and Tarapoto, in the department of San Martín, all centers of great archaeological and recreational interest for the tourist. San Martín is famous for its flora and fauna, and in particular for its numerous species of orchids. The other important route is the Central Road, which links Lima with Tarma and La Merced in the Chanchamayo Valley, Jauja and Huancayo in the Mantaro Valley (points of entry to the jungle); it then travels into areas of the Amazon region where it is known as Marginal de la Selva (Jungle Highway). In addition, other roads throughout the country have been built either to connect small towns or to provide access to certain tourist attractions, most notably the Cusco/Sacred Valley of the Incas road. Many bus lines provide services to practically the whole of Peru. Local tour operators and travel agencies offer a range of vehicles varying in their degree of comfort and facilities. Because of its geographic position and its tropical location, the presence of the Andes and both the Humboldt and El Niño currents, Peru is the earth’s most ecologically diverse country. Eighty-four of the one hundred and four ecosystems in the world, and twenty-eight of the thirty-two climates on the planet can be found here. Additionally, it is one of the world’s leading countries in terms of variety of species and habitats. Peru has 3,780 species of animals, 9% of all those known. Peru has around 3,000 species of orchids (Orchidaceae), and more than 1,710 registered species of birds (close to 20% of the world’s total), of which 300 are endemic. Peru’s territorial waters contain more than 900 species of fish and 30 species of marine mammals. Of the 6,500 species of reptiles recorded in the world, Peru has over 300 species or 5.6% of the total. Of the 4,138 species of amphibians known to exist, 5.8% or 241 species are found in Peruvian territory. Peru has more reptiles and amphibians than the entire state of Florida. It is estimated that 40,000 species of plants exist in Peruvian territory. The Peruvian Amazon region and the adjacent Andean foothills provide the world’s richest butterfly habitat, housing over 3,700 species. 32 species of parrots, which account for over 10% of the world’s parrot species, live in one reserve zone. 32 types of monkeys live in the Peruvian rain forest. Its rivers have 2,000 species of fish, more species than the entire Atlantic Ocean. The Peruvian Amazon is considered to be the largest pharmacy in the world due to the tremendous number of medicinal plants found there. The two forests with the most diverse species of flora and fauna in the world are found in the Peruvian Amazon: Yanamono and Mishana. Potatoes (Solanum tuberosum), corn (Zea mays), avocadoes (Persea americana), cotton (Gossypium barbadense), coca (Erythroxylon coca), peanuts (Arachis hypogaea), guava (Psidium guajava), tumbo (Passiflora cuadrangularis), pate (Crescentia cujete), olluco (Ullucus tuberosus), lima beans (Phaseolus lunatus), tobacco (Nicotiana tabacum), oca (Oxalis tuberosa), manioc (Manihot esculenta), gourd (Lagenaria siceraria), sweet potatoes (Ipomoea batatas), quinoa (Chenopodium quinoa), varieties of chili peppers, such as Capsicum frutescens and Capsicum annuum, also squash (Cucurbita ficifolia), Cucurbita maxima and Cucurbita moschata are some of the best known. The list of Peru’s contributions to the earth’s biodiversity is endless. Experts agree that, although knowledge of Peruvian biodiversity is significant, it is also incomplete, and requires many more years of scientific study and exploration. The Biosphere reserves are known as part of UNESCO’s MAB (Man and Biosphere) program. The objective of these areas and of the World Endowment Sites is to create a worldwide network to preserve the earth’s major ecological systems, using a variety of means for their use and adaptation. The Amazon is the greatest continuous rain forest in the world. Experts agree that the Peruvian rain forest surpasses all those of Central America in diversity and density of wildlife. Although the biological habitats of the rain forest are very complex and are currently relatively unknown, the following is a summary of the sites appropriate for special interest travel. The Peruvian coast, though almost a desert environment, has ecological zones of great interest, particularly for their plants and endemic wildlife. The Peruvian coast was less arid in ancient times and many advanced cultures arose here. The remains of these cultures continue to be of great archaeological importance. The following are some of the national protected areas of Peru’s coastal region, presented according to the categories established by SINANPE, which are tourist attractions for special interest groups. Peru’s pre-Columbian history is rich and diverse. Numerous theories exist regarding the evolution of the pre-Columbian cultures. One of the most recent theories was developed by Dr. Michael E. Moseley, who has conducted extensive fieldwork on the pre-Columbian sites of Peru. Dr. Moseley is the Director of the Institute of Archaeology and Palaeo-Environmental studies at the University of Florida and the author of many books and studies on the subject of Peru’s pre-Columbian civilizations. The following charts, developed by Dr. Moseley, give a chronological list of the different cultures in the Andean highlands and coastal region of Peru. Since it is impossible to cover all the information available on the pre-Columbian cultures, this chapter focuses on some of the more prominent cultures of ancient Peru, and describes their significant civil, military and religious archaeological sites. In addition, it discusses the production of ceramics, textiles and other artifacts, as well as the museums and collections where they can be seen. The information on the major archaeological sites is organized by geographic region (highland and coast) and then by department. (Departments are the equivalent of U.S. states). Each site’s location, access, climate, summary of services, and possible trip combinations are indicated. Of course, trips may also be tailored to individual or group requirements. The second part of this chapter covers colonial architecture and the principal colonial cities of Peru. Again presented in a regional format, this section permits the reader to appreciate to what an extent Peru’s colonial architecture is an integral part of a modern country looking to the future. Finally, any trip to Peru will be incomplete unless the visitor experiences the country’s culinary arts, purchases some of its beautiful handicrafts and enjoys its festivals. Pertinent information about these activities is provided in this chapter, to enhance your visit to Peru culturally. Festivals in Peru are deeply rooted in the people’s lore, and are the product of the fusion of European and native cultures and religions. They are the best way for visitors to gain first-hand experience of authentic Peruvian customs. Music and dances, magnificent traditional costumes, customs and traditions from the different regions of the country can be enjoyed in many parts of the country at different times of the year. This section mentions the most important festivals which would be of interest to the visitor. During colonial times, Indians working in the mines often reported seeing the Virgin Mary surrounded by flames and fighting against the devil. In 1675, a Jesuit commission led by Father José María Zola, was sent to San Carlos de Puno to investigate the occurrence. Once there, he too witnessed the Virgin’s miracles, gave her the name of La Virgen De La Candelaria (Our Lady of the Flames) and appointed her Puno’s patroness. Candelaria, then, alludes to the flames surrounding the Virgin Mary. However, this festival coincides with Candlemas on the traditional Catholic calendar, which commemorates Our Lady’s purification period, since, according to Hebrew law, women had to remain secluded for 40 days after childbirth. The festival of La Candelaria is rich in color, movement and sound. These festivals are prepared well in advance by the “mayordomos” (those appointed to be the sponsors and organizers for the current year’s event), who work with all the community. Representatives come from very distant places. This celebration starts in Puno on January 24th with novenas (pravers) lasting for 8 days. Then comes the Central Feast on February 2nd, to continue with 8 days (octava) of dancing and merry-making. The octava celebration takes place on a Sunday, after February 2nd. It consists of a folk dance contest at the Enrique Torres stadium, in the city of Puno. Dances from remote corners of Puno are shown here. Holy Week is the Catholic feast which is celebrated throughout the country. The solemnity and originality of their processions make the Holy Week celebrations of Ayacucho, Huaraz, and Cusco exceptionally interesting . Large numbers of the local population participate, as well as a great number of visitors (Holy Week in Ayacucho is the most spectacular). The rituals preserve ancient medieval customs interwoven with ingredients of pre-Columbian religions. Celebrated in the city of Cusco, Corpus Christi best represents the fusion of the two cultures - Spanish and indigenous. The original ritual has remained almost unchanged to date. Peruvian historian Victor Angeles Vargas explains that when the Spaniards arrived in Cusco, they observed that the people of Cusco celebrated a feast in honor of the Sun God (Inti Raymi) in June of each year at the winter solstice. In this feast, nobles of the city, led by their priests, paraded their mummies and idols through the streets. The Conquistadors were surprised to note certain similarities with the Spanish celebration of Corpus Christi (both celebrations were held in June and both honored divinities) so, they decided to replace the Inca feast with their own, Corpus Christi. The procession includes 14 richly-attired statues of the Virgin Mary and different patron saints of Cusco and surrounding towns. These statues are paraded on enormous silver platforms and accompanied by bands of musicians. It is an exceptionally colorful and original spectacle. Approximately fifty years ago, several local scholars reconstructed the feast of Inti Raymi as it was originally celebrated. This great Inca winter solstice festival, which now takes place on June 24th in the city of Cusco, officially opens the sowing season, and it has become a major tourist event which attracts thousands of visitors from all over the world. The Inti Raymi rites, customs and dances are realistically portrayed by hundreds of actors, musicians, and dancers who come from all the provinces of Cusco to participate in this internationally renowned festival. This is the ideal occasion to witness the reenactment of one of the most splendid and important festivals of the Inca calendar and admire the rich and varied folklore of this region. Independence Day celebrations are observed on July 28th throughout Peru. The most important events take place in the city of Lima. Parades of the military, public service organizations, and schools are just some of the items on the long list of official celebrations. In addition, a gala horse race takes place at the Monterrico Race Track, and handicraft exhibitions and fairs are organized in different parts of the city. Festidanza is one of the most popular annual events of the beautiful city of Arequipa and it usually takes place during the second week of August. Visitors enjoy the excellent regional folklore, as well as the latest in modern music and dances. Internationally famous musical groups and singers perform over several days and the festive atmosphere is enriched with handicraft fairs and fireworks. The procession of Our Lord of Miracles is celebrated in Lima on October 18th through the 20th. This is one of the longest-lasting and most-attended processions in the Americas. The tradition stems from a remarkable event which took place in Lima during the earthquake of 1655, which totally destroyed the black slaves’ quarter of the city. The only structure that remained unharmed was a wall on which the image of a black Christ had been painted by one of the slaves. The Iglesia de las Nazarenas, one of the oldest Catholic churches in Lima, houses the copy of this first sacred image of Our Lord of Miracles. For three days, the image is carried out in procession on the shoulders of the faithful through the main streets of the historical center of the capital city. The following days have been declared holidays, in order to create “long weekends” to encourage internal tourism. Peñas are typical establishments where folklore dances and music are performed regularly. They can be found in many of the larger cities, particularly Lima and Cusco. The main hotels also offer a variety of folklore shows, in such cities as Cusco, Lima, Arequipa, Trujillo and others. In some cities, there are also cultural organizations established specifically to preserve national and regional folklore. Such organizations regularly put on performances of regional dances and music. It has been said that every great culture has a great cuisine. This is especially true in Peru. Historically, the ancient Peruvian civilizations enriched the world with significant contributions by domesticating a great variety of plants for human consumption. The most notable are the many varieties of corn and potato, which are to this day an important part of the Peruvian’s diet. From ancient times, the Peruvians were not frugal with their food. This can be seen in their varied diet and in the recipes which have been handed down. With the arrival of the Spaniards, America in general and Peru in particular, benefited from the introduction of new species of animals and plants, which have enriched the Peruvian cuisine. The good food of Peru is also a product of other culinary influences. The descendants of Chinese and Japanese immigrants, for example, contributed to the diversification of cooking techniques and the introduction of exotic new dishes which, although of foreign origin, maintain a local flavor. The visitor can enjoy Peruvian dishes based on the products of cold, temperate and tropical climates. Along the coast, fish and shellfish are prepared in a variety of ways, but the most popular is “ceviche”, a combination of seafood marinated in lemon juice. In the sierra, dishes are based on products of the mountain region: potato, corn and different kinds of meat. Among the best dishes of this region are rocotos rellenos (chili peppers stuffed with meat), adobo (marinated pork) and the famous choclos (corn on the cob) served with anticuchos (meat or poultry brochettes). Besides the few named here, there are very many other dishes worth trying. Chicha, made from fermented corn, was drunk by the Incas and continues to be one of the most popular drinks among the inhabitants of the Peruvian highlands. The Spaniards, on the other hand, introduced grapevines and, since 1620, the production of wine in the Ica region has been notable. After the eighteenth century, a new beverage, Pisco, was created and produced in Peru from the distillation of the fermented juice of a type of grape called Quebranta. Pisco is a clear alcoholic drink with a unique taste. Its name comes from the Quechua word Pesqo, or bird, which was the name of the valley where this beverage is mainly produced. The most popular drink among Peruvians, as well as visitors, is Pisco Sour. Local art in Peru dates from pre-Columbian times. Textiles, gold and silver articles, as well as ceramics, are examples of the rich creativity of ancient craftsmen. When the Spaniards arrived, their religious zeal led them to destroy many objects and designs which embodied the religion of the inhabitants. Many local artists consequently ceased producing traditional objects, and rapidly adapted to the new techniques and forms imported from Europe. Examples are the stone and wood sculptures, as well as the paintings, which adorned houses and colonial churches. The artwork of the twentieth century is a result of the original encounter with Europe, and also of the evolution of the regions of Peru. Although some artistic lines have disappeared, others have continued unchanged, and still others have been modified substantially in response to modernization and the increase of tourism. Until recently, the craftsman’s activity was a means of providing a little extra income to cope with family needs, an activity to supplement his agricultural work. Over time, however, as agriculture has given way to town development, handicraft production has taken on a far more commercial character. Handicrafts in Peru are produced by local craftsmen and organizations or community workshops. They make utilitarian articles (pots, blankets, cloths, etc.) as well as decorative items for sale to national and foreign tourists. It is estimated that there are more 300 artisan producers in the country. The majority of handicrafts are produced in the following departments: Lima, Piura, Puno, Cusco, Junín, Ayacucho, and Cajamarca. Lima is the site of the largest concentration of artisans because of migration from provinces all over Peru. Therefore, the visitor can find the entire range of handicraft products in Lima (see the handicrafts map) or at traditional fairs, such as those held in Huancayo, Pisac, and Chinchero, the last two named towns in the department of Cusco. It is almost impossible to list the many handicrafts which can be found in the markets. 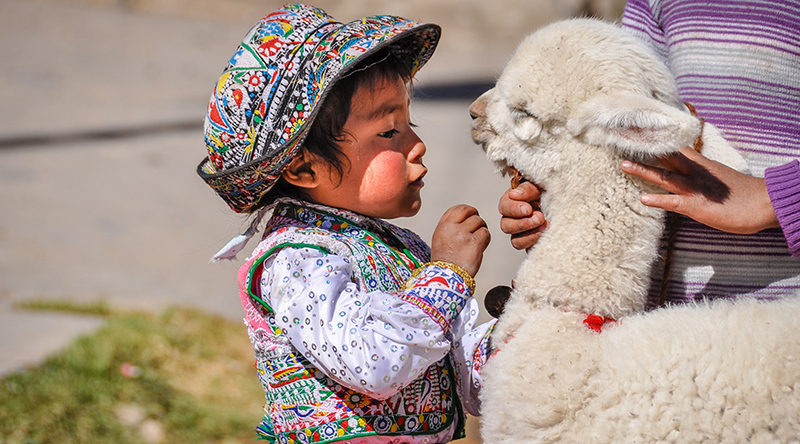 Nevertheless, a wide variety of high quality textile products made of cotton and animal fibers (alpaca and llama) continue to be produced using ancient techniques. Utilitarian and decorative ceramics come from the jungle, coast and sierra regions. Religious imagery, painting, wood carving, basketry (hats and baskets) and of course, the rich gold and silver work in all types of jewelry can be found as well. 2. Willy who escorted us at Lake Titicaca on Friday 27th September. Dear Anthony. Thank you so much for your kind comment and thank you for choosing us for your trip. Please come back soon and experience our other destinations!